We may be Americans but we are forever tied to the country we tore away from years before the Internet. Yes, we began as a British colony, but thanks to a guy named George Washington and his little band of merry men we became our own country; Land of the Free and Home of the Braves. However, one has to wonder; why didn’t Britain colonize us with convicts like they did to Australia? The Brits sent their convicts to a land with beaches, cute little koalas and kangaroos hopping about. That hardly seems like punishment. On the other hand we ended up with Piers Morgan, Outback Steakhouse and the Jersey Shore which isn’t a real beach just a place to make reality TV and for someone named “Snooki” to have babies. We also have raccoons and possums, neither of which hop about are not very cute and carry rabies. The Brits of course have matured, as we have, in the years since the Revolution. There are still many things the English do though that leave us with many questions. Like what does the Queen really do except parade about and do that silly little wave (and did she have t learn how to do that? “No mum, a bit higher and to the left”). Why is it no one could ever catch Benny Hill, after all he never seemed to run that fast. Why do many of their words have an extra ‘u’ and just what the heck is in Marmite? They even drive on the wrong side of the road. Any American guest can attest to the frightening ride in what to us is the driver’s seat, or trying to drive in what to us is the passenger seat, all while other drivers are screaming directly towards us in the right(wrong) lane. Sure, the British gave us the Beatles, the Rolling Stones and James Bond, but really, not much else that ties us to our Mother Country. We can’t even look towards the highways for much of a connection either. Most of the cars made outside US boarders today come from Japan, Korea or Germany. Not even the Mini Cooper, once the very symbol of England can be said to be actually British. 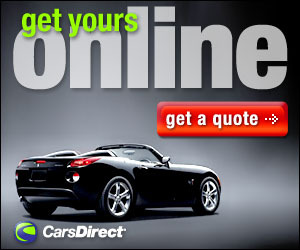 While it may be manufactured in Britain, the company is actually owned now by BMW, a German company. The same can be said of Land Rover and Jaguar, both iconic British vehicles still made in England but owned by a company far away. 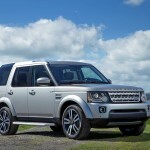 In the case of the Land Rover/Jaguar brand, that company is in India. In the year just past, we had the opportunity to drive a Mini Cooper along with a Jaguar. Our first car of the year completes the British trio that can be had new for the roads of America (Yes you can get an Aston-Martin, but let’s keep it here on Earth). For our first vehicle of 2016, we spent a week with the 2016 Land Rover LR4 HSE, which in the rest of the world is known as the Discovery 4 (The Brits have shortened this to “Disco”, without a ‘u’). 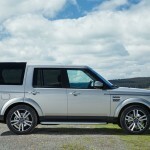 The first thing we wondered was just what the difference between a Land Rover and a Range Rover. The Land Rover sounds like what it is, while to us anyway, “Range Rover” could be a kitchen appliance, maybe something that cleans your stove. The difference is like Toyota to Lexus, with the Range Rover being the Lexus. 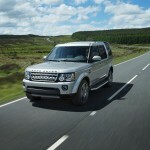 The Land Rover is more utilitarian and less luxurious. 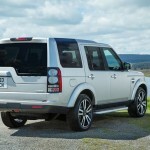 Some Brits will drive their Range Rover to their country estates and speak with a stiff upper lip, while those who wheel Land Rovers park in front of their flat in Barrow and converse in a Cockney accent. 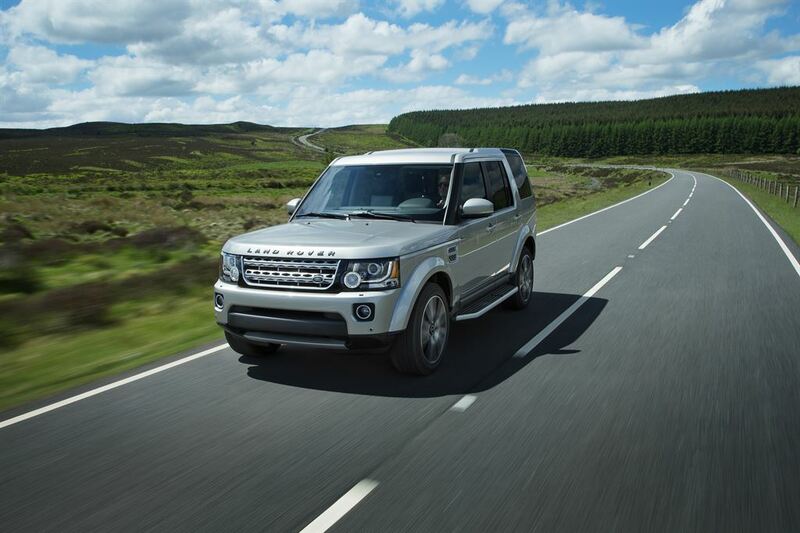 The 2016 Land Rover LR4 is a midsize SUV offered in three trims: base, HSE and HSE Lux. Five-passenger seating is standard, while third-row seats are available. Standard amenities include adaptive air suspension, front and rear foglights, automatic rain-sensing wipers, power front sun roof, leather seating with eight way power front seats, rear parking sensors, a rearview camera, a 7-inch touchscreen display, and Bluetooth phone and audio connectivity. Our model for the week was the HSE that adds xenon headlights, LED running lights, headlight washers, front parking sensors, power-folding mirrors, keyless ignition and entry, a navigation system and the 7 Seat Comfort package. Our model also had the optional Vision Assist package with adaptive headlights, a 360-degree-view camera system and a blind-spot warning system with rear cross-traffic alert along with adaptive cruise control. It also had the two extra rear seats of the 7 Seat Comfort Package with those extra seats conveniently stowed in the rear. The tester also included the Heavy Duty package that includes a two-speed transfer case, locking rear differential and full-size alloy spare wheel. The HSE Lux has all of the above but adds upgraded leather upholstery and trim, power-adjustable side bolsters and memory settings for the driver seat, a power-adjustable steering wheel, interior ambient lighting, a center console cooler box and an upgraded 17-speaker surround-sound stereo. Also standard on the Lux is the Climate Comfort package (a heated windshield, heated windshield washer jets, heated front- and second-row seats and a heated steering wheel). All models sit atop 19-inch alloy wheels and are all powered by a 340hp 3.0 liter supercharged V6 engine mated to an eight-speed automatic transmission. For 2016, the LR4 gets a new paint color (Waitomo Grey premium metallic) and a refreshed home screen. 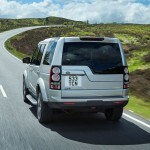 From the outside, the LR4 is a large, almost imposing, boxy machine. The character seems all business and that continues on the inside. It was somewhat surprising that the interior is reminiscent of something from Scandinavia; like a piece of furniture from IKEA. It’s no nonsense, no fuss, all business. However, whatever that business is, it can be done in a large area. The interior is massive; Marge Simpson wouldn’t ruffle her hair. The controls though are actually well laid out and easy to reach. The touch screen seems a bit small, perhaps owing to the massive interior, but it’s easy to figure out and use. The transmission selector is a round knob that retracts into the center console when parked, and drew a few curious stares from passengers. 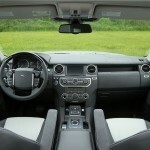 Perhaps the best feature, the one that Land Rover does well, and the thing that separates this 4-wheel drive SUV apart from others, is the amount of drive settings that can be had. Whether you drive on pavement, on mud, sand, snow or up a hill, or need to raise or lower the entire vehicle, there are settings that can dial in the LR4 to handle just about anything. While we didn’t have the chance for any off road excursions, we were left little doubt that the LR4 can go just about anywhere you need it to. Here in Orlando, one of our main drags is perpetually under construction. Usually getting to a business means crossing several gravel lanes under construction, meaning most weeks we do no business there. But with the LR4 we had the confidence to do a great deal of business there easily moving across the gravel lanes. That was a very nice feeling. On the road the 340 horses met any demand and the transmission shifted as needed and well. The towering view of the road is another definite confidence boost. Given its tall stance, aggressive cornering is a bit hairy, but understandable. Normal everyday driving, including cornering though is just fine. The ride was very smooth and the cabin surprisingly quiet. Overall, we enjoyed our week and rate the 2016 Land Rover LR4 as one of the better 4-wheel drive SUVs we’ve had. It’s roomy, no-nonsense, comfortable and capable. The austere interior may lack the flash of some others, but the ability to go just about anywhere sets it apart from others; other 4-wheel drive SUVs may look like they can take on any terrain, but we have little doubt the LR4 can and could if need be. We may never figure out all the eccentricities of our British cousins, may never quite understand why cookies are called biscuits, but we can enjoy the automobiles that are still built there. God Save the Queen and please pass the Marmite.